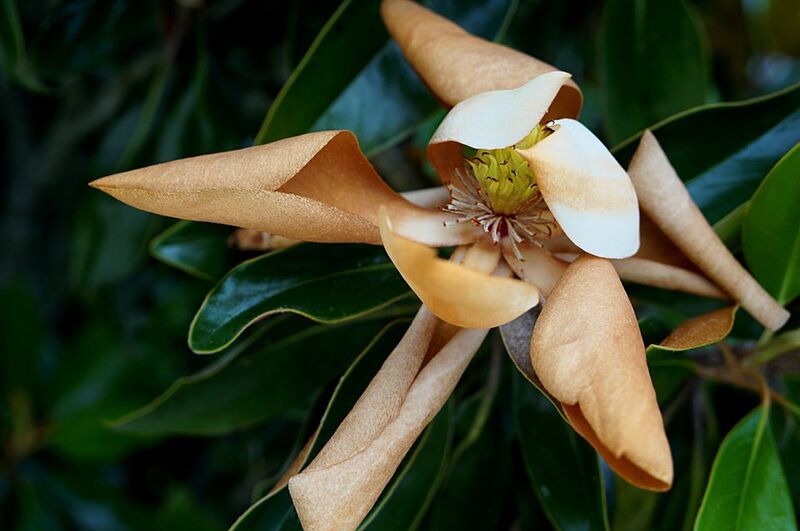 "Why do I have brown leaves on my magnolia trees?" Have you ever asked that question? You are hardly alone. These specimens can be magnificent, but they can also be plagued with problems. Brown leaves on magnolia trees could be the result of any one of a number of factors. Three such possible reasons are presented below, along with (where appropriate) a solution to the problem. The type of magnolia tree in question. The time of year when the discoloration occurs. Some magnolia trees are deciduous, such as saucer magnolia trees (M. x soulangiana), and some are evergreen, such as Southern magnolia (M. grandiflora). If your own tree is a deciduous type, then you have nothing to worry about if the issue occurs during the fall season: its leaves are supposed to turn brown and fall in autumn. If, on the other hand, the brown leaves appear in spring, it could mean that there was frost damage. The good news is that such frost damage is unlikely to kill your tree. The bad news is that it will ruin the plant's appearance for a while, and that there is precious little you can do to prevent frost damage on a mature specimen. However, if you have just brought a small tree home from the garden center, you have the option of selecting a planting location for it that will be more likely to keep frosts off the foliage. An example of such a sheltered area would be one close your house. If the plant is still small enough, you may also be able to throw a sheet (or a similar covering) over it on a night when a frost is expected in your area (but remember to remove it next morning). Soak the soil around the root zone of the plant. The air temperature above damp ground tends to stay warmer than that above drier ground. Set up a patio heater (if you have one) near the plant (but not so close that it actually heats up the foliage). Always follow safety instructions to the letter when running such devices. Spray an antitranspirant on the tree's leaves to offer some protection. Plant new trees in a sheltered area if your region is subject to high winds. Make sure the soil in the root zone is kept evenly moist. Finally, if the problem is happening in spring or summer, ask yourself this question: Do the brown leaves fall off almost immediately after the color change? That could signal a nutritional problem knows as "iron deficiency." I would recommend you have a soil test done (your county extension should be able to handle this). I Can't Get My Lilacs to Bloom. What Am I Doing Wrong? Can I Put Soil Over Exposed Tree Roots?